Getting a mortgage today involves a lot more work than it did in 2006 and the early part of 2007. A year ago, almost anyone could secure a mortgage, simply by showing a credit report. People could qualify for a conventional mortgage with credit scores in the low-to-mid 500s. Right now, mortgage companies are looking for people with credit scores in the high 600s and 700s. The two most popular types of mortgages available today are fixed-rate mortgages and adjustable-rate mortgages (or ARMs). A fixed-rate mortgage loan includes a set time frame in which the borrower must pay it off, typically 15 or 30 years. For fixed-rate loans, the mortgage interest rate remains the same for the entire term of the loan as the day the loan started. 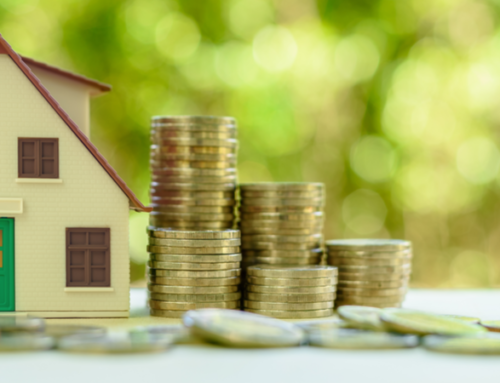 An adjustable-rate mortgage has a short-term fixed interest rate, and then it adjusts annually after that term depending on which index it’s tied to. Some ARMs change when the London Interbank Offered Rate (LIBOR) changes or the interest rate paid on U.S. Treasury bills. Make sure you understand which index affects your mortgage loan. When searching for the best mortgage rates, borrowers should beware of negatively amortizing loans with low teaser rates. When a loan negatively amortizes, the amount of the original loan increases even though the borrower makes regular payments. So the borrower does not make progress in paying off his mortgage loan. If a loan company advertises a mortgage with a 1 percent rate, it’s probably a trick. Before you sign up for the first mortgage that you see with too-good-to-be-true rates, do your homework. Signing up for a mortgage is a long-term commitment that will also impact your credit score. Each time you make an on-time mortgage payment or miss a mortgage payment it will affect your credit score. You’ll want to be careful and make sure you’re getting the best deal on your mortgage that you can possibly get. For more stories on mortgages, mortgage loans, mortgage lenders, real estate and personal finance, visit ThinkGlink.com and click on Buying.